When you die, you leave behind your estate. Your estate consists of your assets — all of your money, real estate, and worldly belongings. Your estate also includes your debts, expenses, and unpaid taxes. After you die, somebody must take charge of your estate and settle your affairs. This person will take your estate through probate, a court-supervised process that winds up your financial affairs after your death. The proceedings take place in the state where you were living at the time of your death. Owning property in more than one state can result in multiple probate proceedings. This is known as ancillary probate. If your estate is subject to probate, someone (usually a family member) begins the process by filing an application for the probate of your will. The application is known as a petition. The petitioner brings it to the probate court along with your will. Usually, the petitioner will file an application for the appointment of an executor at the same time. The court first rules on the validity of the will. Assuming that the will meets all of your state’s legal requirements, the court will then rule on the application for an executor. If the executor meets your state’s requirements and is otherwise fit to serve, the court generally approves the application. The executor is the person whom you choose to handle the settlement of your estate. Typically, the executor is a spouse or a close family member, but you may want to name a professional executor, such as a bank or attorney. You’ll want to choose someone whom you trust will be able to carry out your wishes as stated in the will. The executor has a fiduciary duty — that is, a heightened responsibility to be honest, impartial, and financially responsible. Now, this doesn’t mean that your executor has to be an attorney or tax wizard, but merely has the common sense to know when to ask for specialized advice. What if you don’t name an executor? If you don’t name an executor in your will, or if the executor can’t serve for some reason, the court will appoint an administrator to settle your estate according to the terms of your will. If you die without a will, the court will also appoint an administrator to settle your estate. This administrator will follow a special set of laws, known as intestacy laws, that are made for such situations. Life insurance has come a long way since the days when it was known as burial insurance and used mainly to pay for funeral expenses. Today, life insurance is a crucial part of many estate plans. You can use it to leave much-needed income to your survivors, provide for your children’s education, pay off your mortgage, and simplify the transfer of assets. Life insurance can also be used to replace wealth lost due to the expenses and taxes that may follow your death, and to make gifts to charity at relatively little cost to you. Frank bought life insurance to help ensure that his survivors wouldn’t suffer financially when he died. When Frank died and his paycheck stopped coming in, his family had enough money to maintain their lifestyle and live comfortably for years to come. And since Frank’s life insurance proceeds were available very quickly, his family had cash to meet their short-term financial needs. Life insurance proceeds left to a named beneficiary don’t pass through the process of probate, so Frank’s family didn’t have to wait until his estate was settled to get the money they needed to pay bills. But Dave didn’t buy life insurance, so his family wasn’t so lucky. Even though Dave left his assets to his family in his will, those assets couldn’t be distributed until after the probate of his estate was complete. Since probate typically takes six months or longer, Dave’s survivors had none of the financial flexibility that a life insurance policy would have provided in the difficult time following his death. Frank planned ahead and bought enough life insurance to cover the potential costs of settling his estate, including taxes, fees, and other debts that his estate would have to pay. By comparison, these expenses took a big bite out of Dave’s estate, which had to sell valuable assets to pay the taxes and expenses that arose as a result of his death. Using life insurance, Frank was able to leave a substantial gift to his favorite charity. Since gifts to charity are estate tax deductible, this gift was not subject to estate taxes when he died. Dave always dreamed of leaving money to his alma mater, but his family couldn’t afford to give any money away when he died. Before buying life insurance, Frank talked to his attorney about the potential tax consequences. Frank’s attorney told him that if his estate was large enough, it could be subject to federal and state estate taxes, depending on the applicable law at the time of his death. Frank and his attorney put a plan in place that would allow Frank’s survivors to use his life insurance policy to help pay for some of the potential estate taxes that might be owed at his death. The many uses of life insuranceOne of the most common reasons for buying life insurance is to replace the loss of income that would occur in the event of your death. When you die and your paychecks stop, your family may be left with limited resources. Proceeds from a life insurance policy make cash available to support your family almost immediately upon your death. Life insurance is also commonly used to pay any debts that you may leave behind. Life insurance can be used to pay off mortgages, car loans, and credit card debts, leaving other remaining assets intact for your family. Life insurance proceeds can also be used to pay for final expenses and estate taxes. Finally, life insurance can create an estate for your heirs. How much life insurance do you need?Your life insurance needs will depend on a number of factors, including whether you’re married, the size of your family, the nature of your financial obligations, your career stage, and your goals. For example, when you’re young, you may not have a great need for life insurance. However, as you take on more responsibilities and your family grows, your need for life insurance increases. How much life insurance can you afford?How do you balance the cost of insurance coverage with the amount of coverage that your family needs? Just as several variables determine the amount of coverage that you need, many factors determine the cost of coverage. The type of policy that you choose, the amount of coverage, your age, and your health all play a part. The amount of coverage you can afford is tied to your current and expected future financial situation, as well. A financial professional or insurance agent can be invaluable in helping you select the right insurance plan. What’s in a life insurance contract?A life insurance contract is made up of legal provisions, your application (which identifies who you are and your medical declarations), and a policy specifications page that describes the policy you have selected, including any options and riders that you have purchased in return for an additional premium. Types of life insurance policiesThe two basic types of life insurance are term life and permanent (cash value) life. Term policies provide life insurance protection for a specific period of time. If you die during the coverage period, your beneficiary receives the policy death benefit. If you live to the end of the term, the policy simply terminates, unless it automatically renews for a new period. Term policies are available for periods of 1 to 30 years or more and may, in some cases, be renewed until you reach age 95. Premium payments may be increasing, as with annually renewable 1-year (period) term, or level (equal) for up to 30-year term periods. Your beneficiariesYou must name a primary beneficiary to receive the proceeds of your insurance policy. You may name a contingent beneficiary to receive the proceeds if your primary beneficiary dies before the insured. Your beneficiary may be a person, corporation, or other legal entity. You may name multiple beneficiaries and specify what percentage of the net death benefit each is to receive. You should carefully consider the ramifications of your beneficiary designations to ensure that your wishes are carried out as you intend. Where can you buy life insurance?You can often get insurance coverage from your employer (i.e., through a group life insurance plan offered by your employer) or through an association to which you belong (which may also offer group life insurance). You can also buy insurance through a licensed life insurance agent or broker, or directly from an insurance company. Index universal life is a type of universal llife insurance. Index universal life insurance credits interest based on the performance of an equity index, such as the S&P 500. ** Prior to 2011, each taxpayer was entitled to use only the exemption allotted to him or her, and any unused exemption amount would be lost. In 2011 and later years, portability of the gift and estate tax exemption between spouses allows the executor of the first deceased spouse’s estate to transfer any unused exemption amount (DSUEA) to the surviving spouse. This “portability” allows the second spouse to die to dispose of up to $10,980,000 worth of assets, estate tax free. Effective in an emergency–your doctor should note an in-hospital DNR order on your chart. Out-of-hospital DNR orders take various forms, depending on the laws of your state. ID bracelets, MedicAlert ® necklaces, and wallet cards are some methods of noting DNR status. A successful estate plan is shaped by goals. Key estate planning goals are minimizing taxes, avoiding probate, retaining control over property, protecting assets, and protecting against incapacity. These goals are represented in the outer rings of the illustration. There are a number of devices that can be employed to accomplish these goals; among them are gifts, wills, trusts (living or irrevocable), joint ownership arrangements, and beneficiary designations. These devices are represented within the world’s core (the pie-shaped pieces). This tool has been designed to easily match goals with devices that can achieve those goals. Contingent trusts for minors (which take effect in the event that both parents die) may be used to avoid the costs of having a court-appointed guardian to manage your children’s assets. *This is particularly important for minors and incapacitated adults who may need support, maintenance, and/or education over a long period of time, or for adults who have difficulty managing money. The Tax Cuts and Jobs Act, signed into law in December 2017, doubled the gift and estate tax basic exclusion amount to about $11,200,000 in 2018. After 2025, the exclusion is scheduled to revert to its pre-2018 level, being cut by about one-half. Prior to 2011, each taxpayer was entitled to use only the exclusion allotted to him or her, and any unused exclusion amount would be lost. 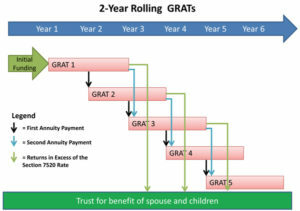 A married couple could ensure they fully used their respective exclusion amounts by implementing an estate plan that split a spouse’s estate into a marital portion (Trust A) and credit shelter portion (Trust B), as illustrated. These two very important estate planning devices are quite different from each other but serve similar purposes. A living will lets you manage your health-care decisions in case you become incapacitated. A living trust lets you manage your property in case you become incapacitated. A living will is not actually a will at all. It is a legal document that becomes effective if you become so ill or injured that you can’t make responsible health-care decisions for yourself. It lets you approve or decline certain types of medical care in advance, even if you die as a result. A living will is allowed only in some states. If you don’t live in one of those states, you may be able to accomplish the same goal using a durable power of attorney for health care, health-care proxy, or Do Not Resuscitate order. By comparison, a living trust is just what it says. It is a revocable trust you create while you are living. You transfer property to the trust, and the trust then “owns” it. You name yourself as trustee and someone else as a successor trustee. You manage the property in the trust unless you become incapacitated (or until you die), in which case your successor trustee automatically steps in to continue managing the property for you. Probate is the court process of proving a decedent’s will and/or supervising the administration of a decedent’s estate. This process takes place in the probate court, which is a special court designed for this function. State law governs the proceedings in the probate court, so they vary from state to state. Generally, however, probate proceedings are initiated when someone petitions the court. If there is a will, the petitioner must first prove that the will is valid. The court then watches over the executor while he or she settles the estate. If there is no valid will, the court appoints an administrator to settle the estate. Why would you want to avoid probate? Because for some estates, it may be a time-consuming, costly, and public procedure. It depends. Generally, there are four forms of joint ownership. In legal terms, they are known as (1) joint tenancy with rights of survivorship, (2) tenancy in common, (3) tenancy by the entirety, and (4) community property. Ordinarily, interests in property held as joint tenancy with rights of survivorship, tenancy by the entirety, and community property held under joint tenancy avoid probate. An interest in property held as tenancy in common passes by will and thus does not avoid probate. Two or more people can hold property as joint tenants with rights of survivorship or tenants in common. Only married couples can hold property as tenants by the entirety, and only married couples who live in community property states can own property as community property. Although an interest in property held as tenancy in common must pass through probate, it is also freely transferable to anyone. Conversely, interests in property held as joint tenancy with rights of survivorship, tenancy by the entirety, or community property held under joint tenancy pass automatically to the remaining owner(s). *2018 amount may be adjusted by the IRS. After 2025, the amount is scheduled to be cut by about one-half. The only way you can be absolutely certain that a specific individual gets a specific asset is to give it them before you die. If you don’t choose that option however, you can make your wishes known in many ways: verbal instructions, written instructions, audio or video recordings, or labelling your instructions right on the objects themselves. However, those methods are not legally binding and might result in challenges or disputes. The best way is to make a specific bequest in your will or an addendum that is incorporated into your will. Disinheritance is intentionally depriving someone who would otherwise be a rightful heir from receiving your estate. Typically, your heirs include your spouse, your descendants, and possibly other relatives. Although you may feel you have a good reason for disinheritance, be aware that a majority of non-community-property states provide statutory protection for spouses. That is, most states provide that if a spouse is disinherited under the decedent’s will, he or she may elect to take under the state intestacy laws instead. These laws vary from state to state but generally entitle the spouse to receive from one-third to one-half of the decedent’s estate. A trustee is an institution or person who is the legal owner of the property held by the trust and who is responsible for using the trust property for the benefit of the trust beneficiaries according to the terms of the trust document. The trustee can be held personally liable if those duties are breached. 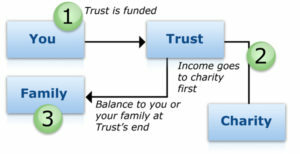 You may select one trustee or multiple trustees, depending on your needs. Who you name as trustee will depend on the type of trust you establish and your individual needs and goals. Generally, you want the trustee to be capable of administering the trust according to the terms of the trust document. In addition to the willingness to serve as trustee, the person or institution selected may need to have investment experience and good record-keeping abilities. You may also want a trustee who relates well with the beneficiaries and is sensitive and flexible regarding their changing needs. 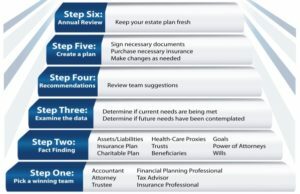 A living trust is a popular estate planning tool that lets you (1) retain control over the trust property while you are alive, (2) avoid guardianship in case you become incapacitated and can no longer handle your own financial affairs, and (3) pass trust property outside of probate when you die. Legally, a living trust is a separate entity that you create while you are living to “own” property, such as a house, boat, jewelry, or mutual funds. The trust is revocable, which means that you can make changes to it, or even end it, at any time. For example, you may want to remove certain property from the trust or change the beneficiaries. Or you may decide not to use the trust anymore because it no longer meets your needs. A living trust gives you the flexibility to do any of these things. However, you do pay a price for this flexibility. A living trust does not avoid estate or income taxes, nor does it protect your assets from potential creditors. A big advantage of the living trust is that it allows a successor trustee to automatically take your place and manage the trust assets if you become incapacitated. For example, you have an accident and are in a coma for six months. Your successor trustee can take your place and manage the trust while you are unable to do so. That way, your affairs continue as usual, and you should suffer no financial setback. In addition, assets in the living trust do not pass through your will when you die. 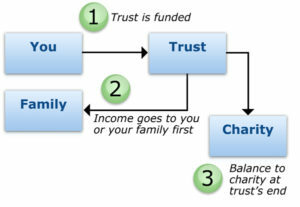 Instead, the assets in the trust are distributed by the trustee according to the terms you establish in the trust. Also, the assets in the trust are not part of your probate estate. This may get them into the hands of your beneficiaries faster or, if you desire, provide that the assets be held until the beneficiaries meet certain criteria or attain a certain age. Finally, since the trust is not subject to probate, the terms of the trust are private. A power of attorney can be broad or limited. Since the power-of-attorney document is tailored for its specific purpose, your agent cannot act outside the scope designated in the document. For example, you may own a home in another state that you want to sell. Instead of traveling to that state to complete all the necessary paperwork, you can authorize someone already in that state to do this for you. When the transactions to sell the home are complete, the agency relationship ends, and the agent no longer holds any power. A durable power of attorney serves the same function as a power of attorney. However, as its name implies, the agency relationship remains effective even if you become incapacitated. This makes the durable power of attorney an important estate planning tool. If incapacity should strike you, your agent can maintain your financial affairs until you are again able to do so, without any need for court involvement. That way, your family’s needs continue to be provided for, and the risk of financial loss is reduced. A durable power of attorney ends at your death. At some point in your life, perhaps as a result of illness, accident, or advanced age, you may lack the mental capacity to make or communicate responsible decisions about your own health care. Without directions to the contrary, medical professionals are generally compelled to make every effort to save and maintain your life. Depending on your attitude toward various medical treatments and your views on the quality of life, you may want to take steps now to control your future health-care decisions. You can do so by adopting one or more advance directives for health care. If you do not adopt such a directive for health care, a family member may have to petition the court for the authority to make those decisions for you. There are three types of advance directives for health care. Each serves a different function, as described briefly below. Be aware that not all are allowed in every state. Check with your state to find out which one(s) you can consider. Durable power of attorney for health care, or health-care proxy: A durable power of attorney for health care, or health-care proxy, lets you appoint a representative to make medical decisions on your behalf. It becomes effective only when you’ve become incapacitated. You decide how much power your representative will have. Do Not Resuscitate order (DNR): A DNR is your doctor’s order that tells all other medical personnel not to perform CPR if you go into cardiac arrest. There are two types of DNRs. One is used while you are hospitalized. The other is used while you are outside the hospital. A life insurance trust is a trust that has the power to purchase life insurance policies on the person who establishes the trust (the grantor), the grantor’s spouse, or the trust beneficiaries. The trust owns the life insurance policy and collects the death proceeds when the insured dies. 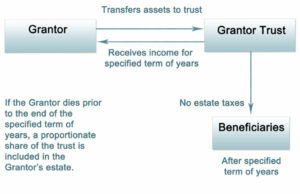 The trustee then distributes the death benefits to the trust beneficiaries according to the terms included in the trust document. 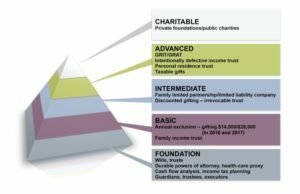 The trust document will identify who the trust beneficiaries are, how and when trust beneficiaries may receive distributions from the trust, and how the money in the trust may be invested. Your life insurance trust may be revocable, meaning that you may make changes or revoke it, or irrevocable, meaning that you may not revoke, alter, or amend the trust once it has been established. The type you choose depends on your individual needs. However, if the trust is revocable, if you are the trustee, or if the trust is required to use the death proceeds from the life insurance to pay your estate taxes and debts, the entire death benefit may be included in your taxable estate. The resulting taxes can significantly reduce the amount of the death proceeds available for your family. For many, keeping the death benefit out of their taxable estate is a key advantage of establishing a life insurance trust. No, you don’t. A bequest is a gift left to you in a decedent’s will. You may not want the gift for a variety of reasons. For example, it may be a burden on you, or it may result in adverse tax consequences for you. Whatever your reason for not wanting the bequest, you can refuse it by disclaiming it. The bequest then goes to the recipient who is next in line under the will. But if you just say “No, thanks” to the bequest, you may be seen by the IRS as making a gift to the next recipient! This could cause federal and state gift tax consequences to you. To avoid these consequences, you must refuse the bequest by making a valid disclaimer. The disclaimer must be received by the decedent’s personal representative no later than nine months from the date of the decedent’s death. From your total gross estate, your estate may take deductions for funeral expenses, administration expenses (e.g., executor’s fees, court costs, attorney’s fees, appraiser’s fees), certain debts and income taxes, state death taxes paid, and property left to your U.S. citizen spouse or to qualified charities. Life insurance death proceeds paid to a valid ILIT may escape estate taxation in your estate as long as the trust owns the policy and you haven’t retained any incidents of ownership in the policy, such as the right to change the beneficiary. Typically, the terms of the ILIT provide that the insurance proceeds be distributed from the trust to your beneficiaries in accordance with your wishes, which are spelled out in the trust document. It is especially important for spouses to understand the applicable exclusion amount. For 2011 and later years, the applicable exclusion amount is portable. That means that each spouse is entitled to an applicable exclusion amount (referred to in this context as the basic exclusion amount). If the estate of the first spouse to die does not use all of its applicable exclusion amount, the executor can elect to transfer the unused portion to the surviving spouse. The surviving spouse’s estate can then add this unused portion to its own basic exclusion amount. The sum is referred to as the applicable exclusion amount. So, for example, say that the husband dies in 2011 and his estate uses $3 million of its basic exclusion amount, and the executor of the husband’s estate elects to transfer the balance of $2 million to the wife. The wife dies in 2018. Her estate is entitled to an applicable exclusion amount of $13,200,000 (her own basic exclusion amount of $11,200,000 plus her husband’s unused portion of $2 million). In addition, most state apportionment acts divide up the tax burden on a prorated basis. For example, if your taxable estate was evenly split between two beneficiaries, each beneficiary would be responsible for 50 percent (one-half) of the taxes due. Beneficiaries who received the taxable portion of your estate must pay their share of the taxes owed when they are due–generally nine months from the date of your death. They may have to sell their inheritances to get the cash. If their inheritances are already spent, however, they still must pay the taxes, and the IRS can go after any of their other assets to satisfy the lien. A Crummey power is a provision contained in certain irrevocable trusts that permits specified trust beneficiaries to withdraw gifts you make to the trust for a limited period of time. The provision allows gifts to the trust to qualify for the federal annual gift tax exclusion. The exclusion effectively exempts annual gifts up to $15,000 (in 2018, 14,000 in 2017) per trust beneficiary from the federal gift tax. Over your lifetime, regular gifting to the trust may reduce the size of your gross estate. Without a Crummey power, all gifts you make to your irrevocable trust will be subject to gift tax. Here’s how it works. You transfer funds to an irrevocable trust containing a Crummey power. The trustee must then give adequate notice to each beneficiary stating that the funds can be withdrawn. The time frame for withdrawal should be reasonable (e.g., 30 days). Whether or not the beneficiaries exercise their right, the gift still qualifies for the annual gift tax exclusion. If the withdrawal right is not exercised, the trustee may use these gifts for other purposes permitted under your trust document, such as investing the money or making premium payments on a life insurance policy that the trust owns. Yes, you can name a charity as your beneficiary. After you die, the charity will receive the death benefits from your life insurance policy just as any other beneficiary would. You won’t have to worry about gift taxes, and although the policy proceeds will be included in your taxable estate, you’ll get an offsetting estate tax charitable deduction. On the downside, though, you won’t be able to deduct your insurance premium payments (as a charitable income tax deduction) on your federal income tax return. There are other ways you can help your favorite charity while still deriving an income tax benefit. For example, if you own an existing insurance policy on your life, you can donate the policy to a charity. You’d then make income-tax-deductible cash gifts to the charity, which the charity would use to continue the premium payments on the policy. You’d be eligible to claim an income tax deduction in the year of donation, for either the fair market value of the policy or your adjusted tax basis in it, whichever is less. For information about other ways to help a charity while lowering your income taxes, speak with an attorney or tax advisor. Funeral insurance is a way to spare your loved ones the financial burden of having to pay for your final expenses. However, not all funeral insurance policies are alike. Different types of funeral insurance are available, and policies can vary widely. In general, they work by you purchasing a policy that will cover your final expenses, usually a few thousand dollars. You pay the premiums (either in a lump sum or spread out over a certain number of years), and when you die, the death benefit is used to pay for your funeral. Funeral insurance policies are often sold through a funeral director acting as an agent on behalf of an insurance company. However, some of the larger national funeral home chains are beginning to sell funeral insurance. If you’re concerned that funds won’t be available to pay for your funeral costs, or that these costs would be a large burden to your family, a funeral insurance policy might be appropriate for you. However, before you decide, explore the possibility of purchasing a small term life insurance policy as an alternative. If you have sufficient assets to pay for your own funeral, you probably don’t need funeral insurance. Currently, there is no federal law regulating funeral insurance, and state regulations vary. And many individuals–especially the elderly–have been victimized by funeral insurance scams. As a result, it may be wise to consult a professional advisor to find out if funeral insurance fits into your overall estate plan. Your beneficiary may have flexibility within the options, as well. For example, if your beneficiary chooses the fixed-amount option, your beneficiary might elect to receive $250 per month for the first five years, and then $500 per month until the proceeds are depleted. 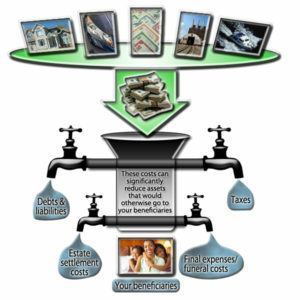 Your beneficiary may also choose a combination of options. For example, your beneficiary could receive the interest option until retirement and then receive the remainder of the benefit as an annuity. Your company will allow your beneficiary to choose how the proceeds are received when they become payable. If you think it’s necessary, you may choose how the beneficiary will receive the proceeds when you purchase the policy. Consult your financial professional to see what choices your life insurance company offers.